From the 1st of October, buy a Universal Audio Apollo rack audio interface and get a UAD-2 Satellite Free. Customers buying and registering one of the racked version of the Apollo (Apollo 8 Duo and Quad, Apollo Classic Quad, Apollo 8p and Apollo 16) before the 31st of December will receive their UAD-2 Satellite Quad, Octo or firewire within 6 to 8 weeks after registration. 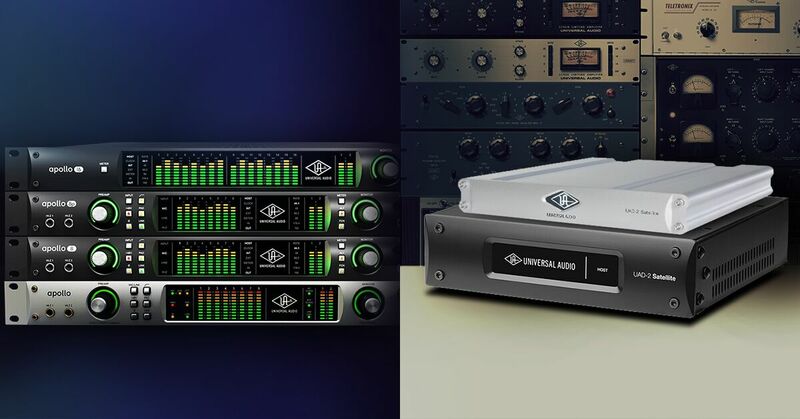 Buy a Universal Audio Apollo Classic and get a free UAD-2 Satellite Firewire DSP. Once you register your Apollo audio interface you will be prompted to fill in your shipping details. This is a great opportunity to not only get one of the most popular audio interface but also transforming your setup into a recording, mixing and mastering powerhouse with access to some of the best plug-ins on the market. Furthermore and exclusively to KMR Audio you can save even more adding a UA Custom bundle and save up to 65% with up to 83 plug-ins.